Excellent all-around service! Luis and Phil are awesome!! I will not go back to ORKIN! Love the service from Smithereen! 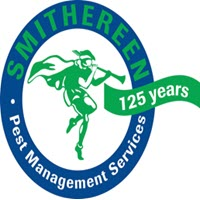 I am very happy with my service from Smithereen at all my locations they service. Scott, Chris, and the tech. Were amazing. They talked to me about what needed to be done. Scheduled payment arrangements with me. Came back after 30 days because I saw something. So they took care of it. I LOVE THIS COMPANY AND THEIR CREW. Absolutely amazing. Very efficient and works well with residents and staff of our Assisted Living facility. Smithereen has been a wonderful company to work with. They are very professional and prompt with their service. They are proactive and very helpful with training our staff. We are very satisfied and would recommend them without reservation. Mark, thanks so much for the great review, we are thrilled that you are satisfied. Let us know if there is anything more we can do!